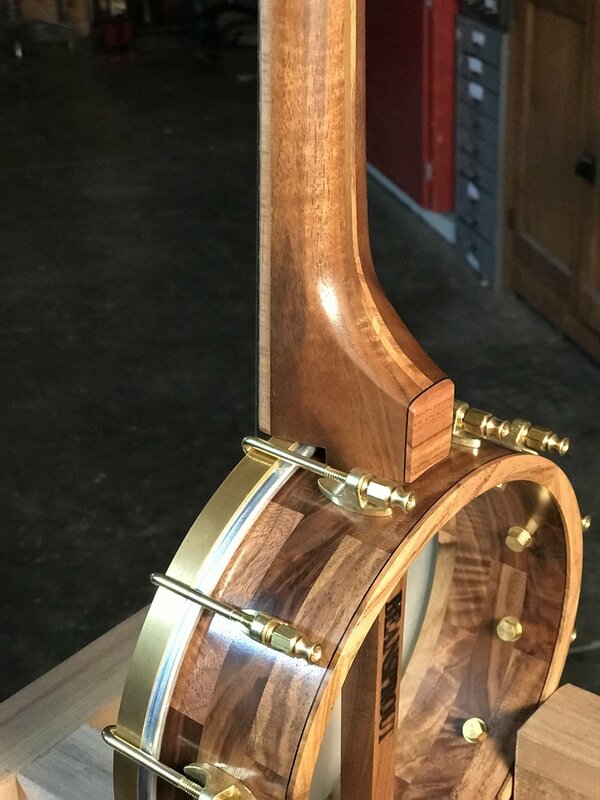 I found some curly two color curly walnut from the carpenter ant stash in Portland and paired it with some swirly reddish pistachio from California orchards for this little guy. 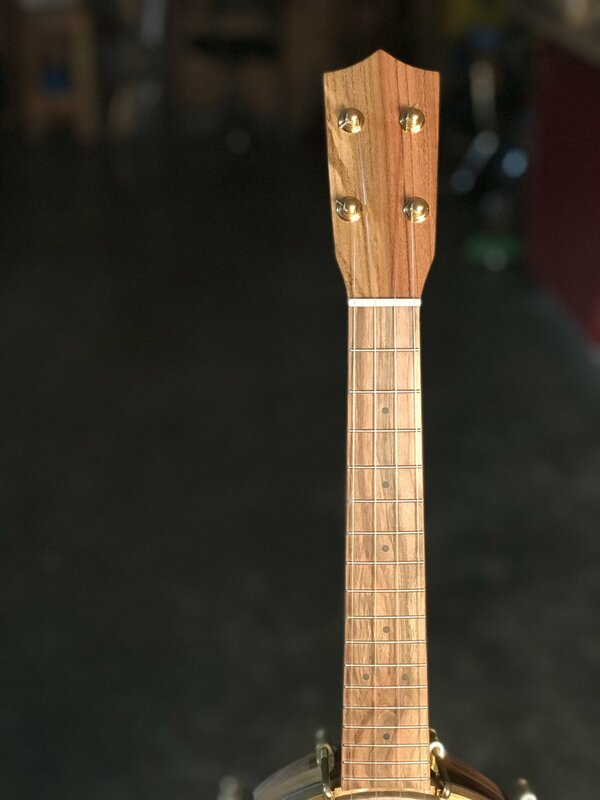 I like how the closer you look at it, the more small details you see in the wood grain! 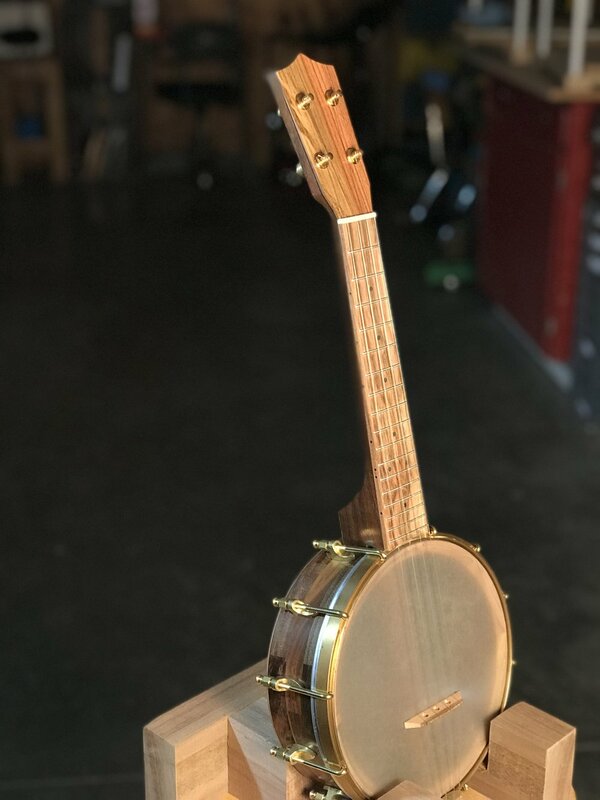 The walnut concert banjo uke has turned into one of our most popular models and it's easy to see why. 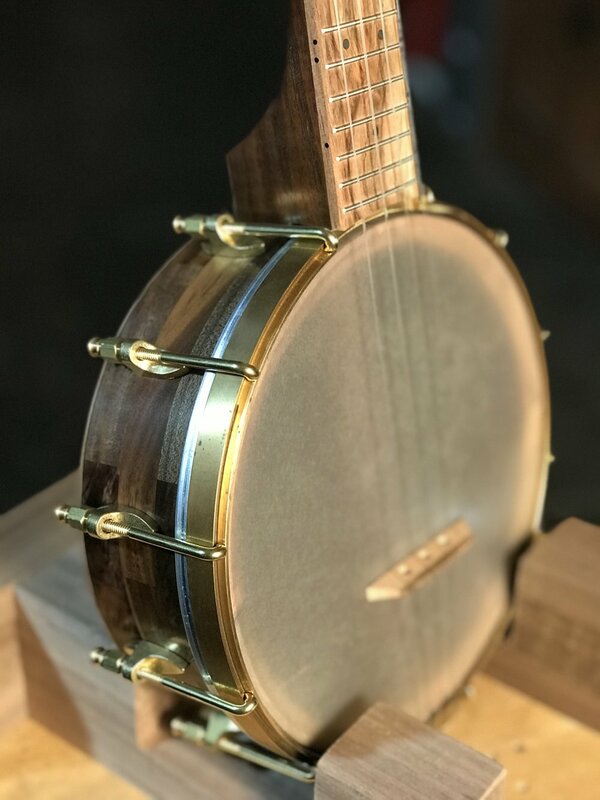 The concert scale is the right balance in your lap for the 8" rim and the warmth of the walnut cuts some of the brightness of the banjo. A great combo.